Jeff Dunham has become a global entertainment brand and imminently bankable star whose two decades of unparalleled success have left him one of the world’s most recognizable and inventive entertainers. Most recently, his NBC primetime comedy special “Jeff Dunham: Unhinged in Hollywood,” chronicling two sold-out nights at Los Angeles’ historic Dolby Theatre (home to the Academy Awards) with Dunham’s cast of characters, drew more than 6 million viewers when it aired in September this past year, winning the night for the network in non-NFL programming and went on to unrivaled success on Comedy Central and in DVD/Blu-Ray release. 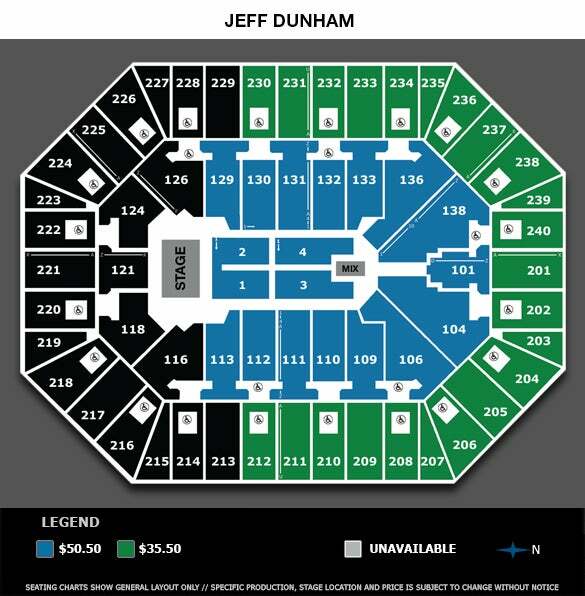 Dunham recently launched his Perfectly Unbalanced arena tour, which has been selling out venues across the country and runs through 2016. His past tours have proved his undeniable global appeal. He has been awarded Billboard’s Top Comedy Tour for three years running (an award based solely on box office sales), and Guinness World Records recently named Jeff Dunham as the world record holder for “Most Tickets Sold for a Stand-up Comedy Tour.” He has sold out stadium-sized shows across three continents, from the United Kingdom to Sydney, Toronto to Copenhagen. Dunham’s fascination with ventriloquism began at age eight when his parents gave him a toy Mortimer Snerd dummy and an accompanying instructional album. In 2006, Jeff’s self-produced “Arguing With Myself,” his first one-hour primetime special, premiered on Comedy Central. The audience reaction was explosive. Almost immediately, fans were posting clips across the Web, views rocketed into the tens of millions, and Jeff Dunham became a comedy phenomenon, reviving a lost art with new levels of comedy and a contemporary voice. In 2007, Dunham’s self-produced “Spark of Insanity,” his second Comedy Central special, again premiered to record ratings and million-plus DVD sales. Amazon’s consumers rated “Spark” the best DVD of the year. In 2008, his third television event, “A Very Special Christmas Special,” premiered with 6.6 million viewers to become the cable channel’s most-watched program ever. Dunham’s 2011 stand-up special, “Controlled Chaos,” made an unprecedented multi-territory broadcast and DVD release in a dozen countries upon its U.S. bow on Comedy Central on September 25, 2011. 5.5 million people tuned in to watch the special on Comedy Central, making it the third most watched program in the channel’s history, and more than 100,000 DVDs sold within the first week. In 2012, Jeff debuted his latest stand-up special “Minding the Monsters” on Comedy Central. The premiere was watched by 5 million viewers making it the most-watched broadcast of the year for the network. The extended DVD, featuring more than an hour of extra material and bonus features, became available two days later and achieved platinum status within its first week on sale. Dunham celebrated another top release with the premiere of “All Over The Map” on Comedy Central. The television special and DVD featured footage from his unprecedented world tour where he performed across five continents to bring his beloved characters to over 19 cities in 12 countries. All of Dunham’s specials have been released on broadcast, DVD, and mobile platforms in Canada, UK, Benelux, Scandinavia, Italy, France, Spain, Australia, New Zealand, and South Africa. The DVD of “A Very Special Christmas Special” topped the Danish entertainment chart and “Spark of Insanity” hit the Top 5 of DVD charts in Holland (No. 2) and South Africa (No. 5). “Spark of Insanity” is the most viewed show ever on Comedy Central Holland and, in the United Kingdom, “Controlled Chaos” was the best-selling DVD in 2011 by a non-British comedian. In South Africa, where Dunham’s first tour in 2010 packed some of the nation’s largest venues, overall sales of the three titles have exceeded 100,000 units, surpassing any other international comedian. His limited series commitment, “The Jeff Dunham Show,” premiered as the highest rated series in Comedy Central history with 5.3 million viewers in its initial airing. The DVD was released in May 2010 and sold more than 100,000 units within the first four weeks. Also in 2010, Dunham released his highly anticipated autobiography, “All By My Selves: Walter, Peanut, Achmed and Me,” which immediately landed on the New York Times Best Seller list. Dunham’s personal story is often interrupted by his characters who are quick to dispute Dunham’s recollection of their history together. Dunham has also made many cameo appearances across television and film, from the Emmy Award-winning comedy series “30 Rock,” to the Jay Roach-directed comedy “Dinner For Schmucks,” starring Steve Carrell and Paul Rudd. 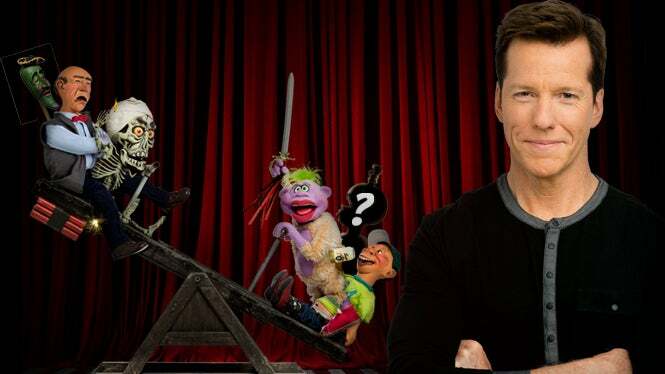 At the end of 2011, The Bio Channel’s premiere of “Jeff Dunham: Birth of a Dummy” became the network’s No. 1 broadcast of all time. Dunham, of course, had plenty of help: his entourage of signature characters who are loud, irreverent and unforgettable. There’s Walter, the grumpy retiree. The beer-swilling, NASCAR-loving and resolutely redneck Bubba J. The furry and manic Peanut, who carries his own ventriloquist dummy, Little Jeff. José Jalapeño, the spicy pepper from South of the border. The bumbling, skeletal Achmed the Dead Terrorist and his almost as dead long-lost son. These characters, conceived and handcrafted by Dunham, are anything but dummies and have now taken on a life of their own, each with a legion of fans. Just as Dunham has maintained full control over the world of characters that he has created, he has built an independent company that produces and finances all Dunham projects across all distribution platforms, including live, television, film, merchandise and home video. He maintains a highly interactive relationship with his fans via JeffDunham.com and many social networking platforms, including more than 9 million fans on Facebook. His content partnerships include YouTube (where his Achmed clip is in the top five videos of all time designated as a favorite), Amazon.com and iTunes. Ticket Order Form - Click Here!